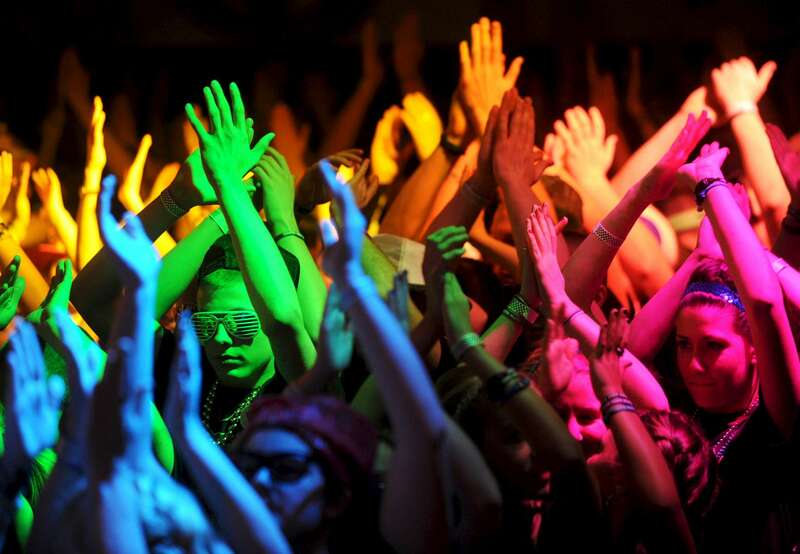 South Glens Falls students are bathed in colored light as they participate in the 35th annual South High Marathon Dance on Friday, March 2, 2012. Hundreds took part in the charitable event that runs for 24 hours and raises money for causes and individuals selected by a student planning committee. Over $2.75 million has been raised over the previous 34 years, and organizers are hoping the total this year will top the $326,213.58 brought in last year.